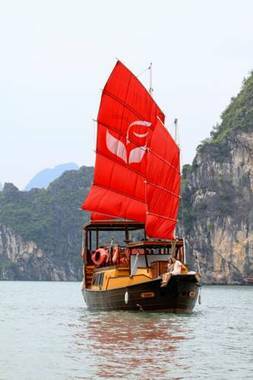 Life Heritage Resort - Ha Long Bay Cruises Ha Long, Hotel Vietnam. Limited Time Offer! Life Heritage Resort Ha Long Bay Cruises. "Life Heritage Resort Ha Long Bay Cruises" has received 4 stars. The residence is an excellent place to stay when visiting Ha Long. To help guests visit the neighbourhood more easily, there is a shuttle service available. By taking part in fishing you have the opportunity to make your stay a more active one. There is also a more sporting activity available as well, namely snorkeling. Royal Lotus Hotel Halong is a popular choice amongst travelers in Halong, whether exploring or just passing through. Both business travelers and tourists can enjoy the hotel's facilities and services.